David Macdonald explains how WildCRU’s research in the Hwange Lion Project runs hand-in-hand with an education programme for village children: around the borders of Hwange National Park, where Dr Andrew Loveridge and I set up wildCRU’s lion project in 1999, there are numerous villages. Historically, many villagers have viewed lions, and other large predators, with hostility. Some of this is justified, because lions do kill their cattle, but some of it is misplaced and some of stock-killing is avoidable by improved husbandry and the work of our Long Shield lion guardians (as described in an earlier newsflash). To ensure that our research informed these communities we produced a comic book, in both English and N’debele language. Lovemore Sibanda, an aspiring young Zimbabwean conservation biologist – trained in Oxford by the WildCRU at the Recanati-Kaplan Centre, wrote the text, assisted by the wider team. The comic has been distributed to every school in our study area. 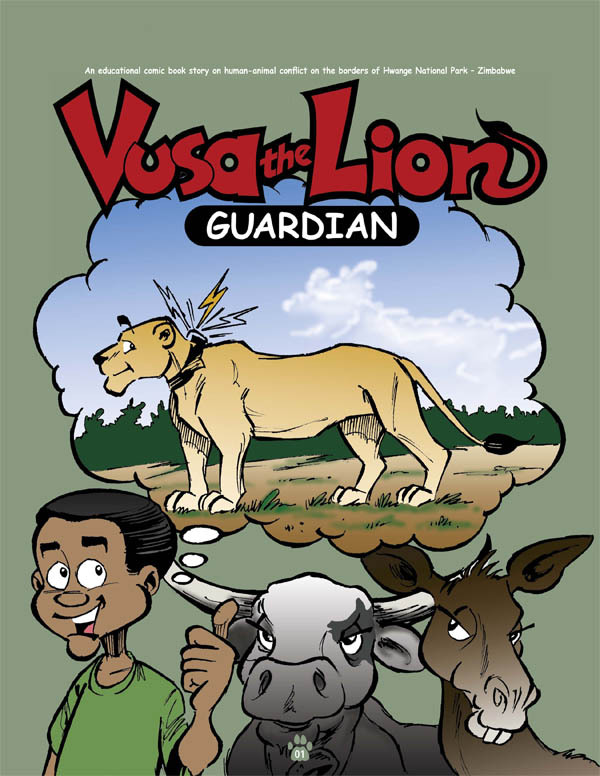 Because WildCRU always studies what it does, Lovemore conducted questionnaires of the children, comparing their opinions of lions before and after they read the comic – an analysis that is in progress. Andy Loveridge and David Macdonald are working on a new plan for the Hwange Lion Project in the next three years, and with the benefit of the generous donations to our appeal – one thing is certain, we will be able to step up significantly our educational work, and we are very grateful for that opportunity.